Product categories of Starter Clutch, we are specialized manufacturers from China, GY6 150 Starter Clutch, GY6 50 2 Stroke Starter Clutch suppliers/factory, wholesale high-quality products of GY6 50 4 Stroke Starter Clutch R & D and manufacturing, we have the perfect after-sales service and technical support. Look forward to your cooperation! A clutch is a mechanical device which engages and disengages power transmission especially from driving shaft to driven shaft. In the simplest application, clutches connect and disconnect two rotating shafts (drive shafts or line shafts). In these devices, one shaft is typically attached to an engine or other power unit (the driving member) while the other shaft (the driven member) provides output power for work. While typically the motions involved are rotary, linear clutches are also possible. 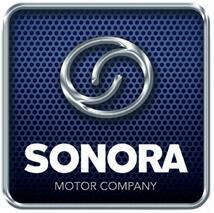 Copyright © 2019 SONORA MOTOR COMPANY All rights reserved.